On January 20, I went looking for kestrels along South Street. 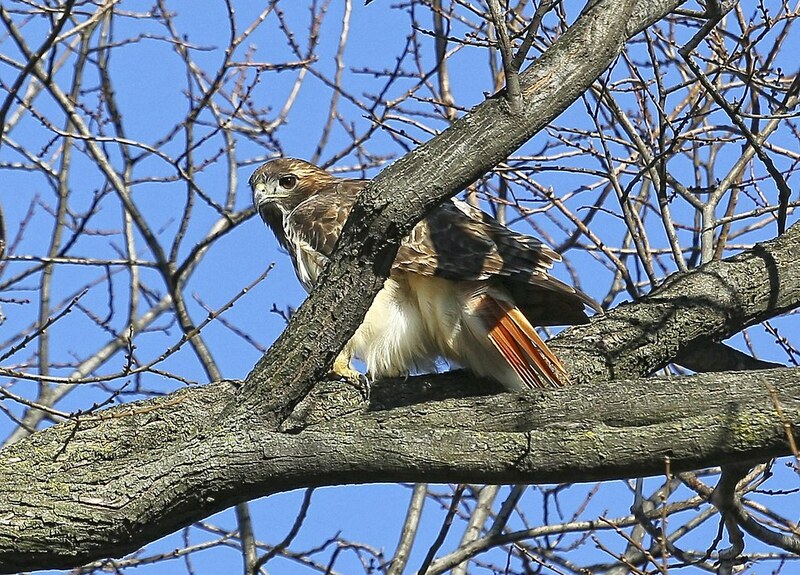 I didn't find any, but to my surprise, I came upon an adult red-tailed hawk perched in a tree where I'd previously seen the kestrels. 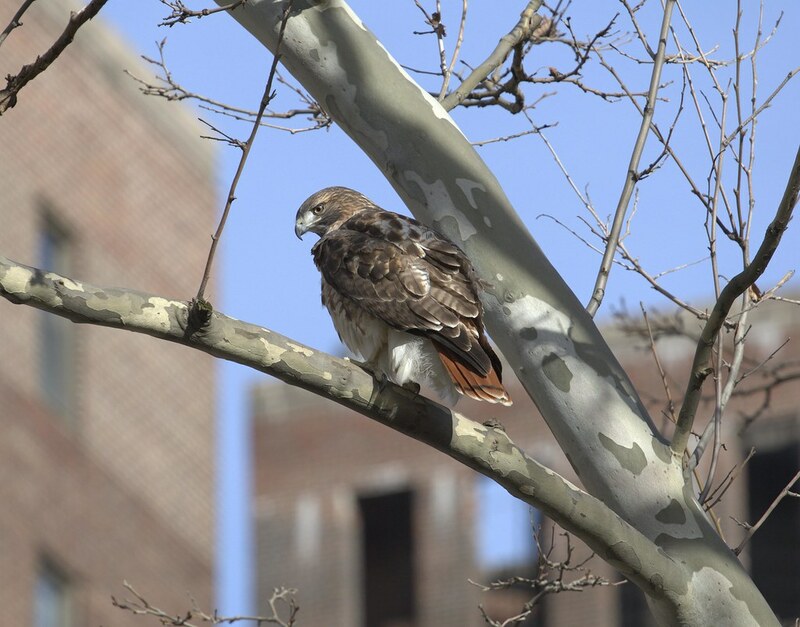 I wondered if this could be one of the pair of adult red-tails who have been seen around the Lower East Side the last couple of months. 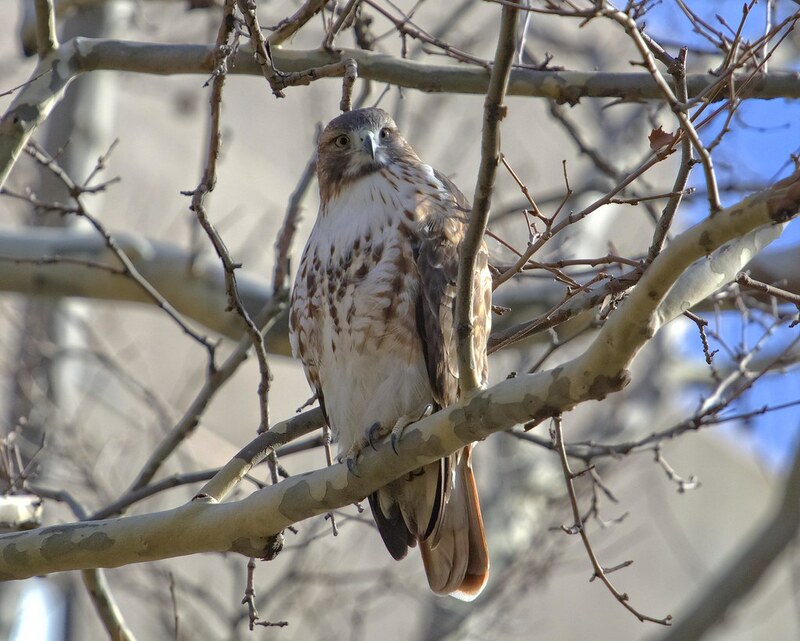 Unfortunately, I couldn't see any definitive identifying marks that could prove this hawk was one of the pair or not. 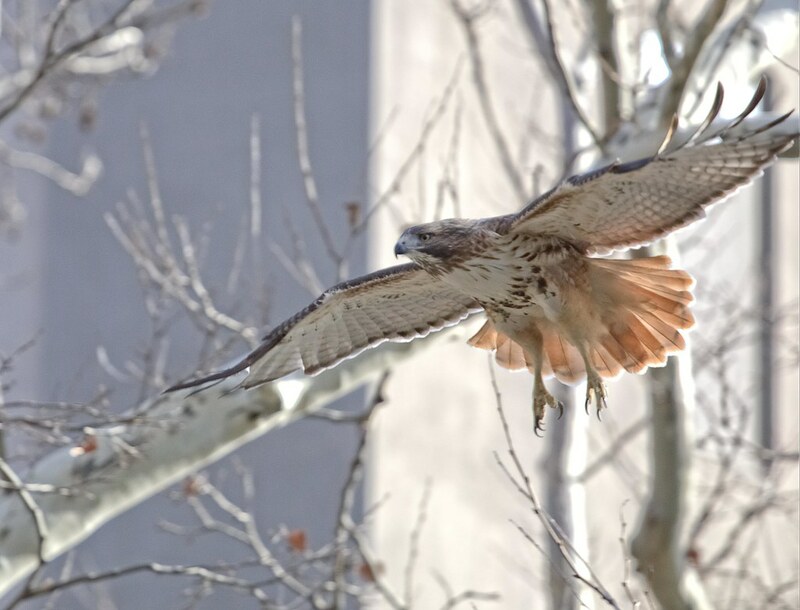 However, this hawk does have some interesting features. It's eyes, for instance, are a light amber color. This could mean the hawk is a young adult. By comparison, Dora's eyes (below) are much darker. Christo's eyes are also a darker brown. 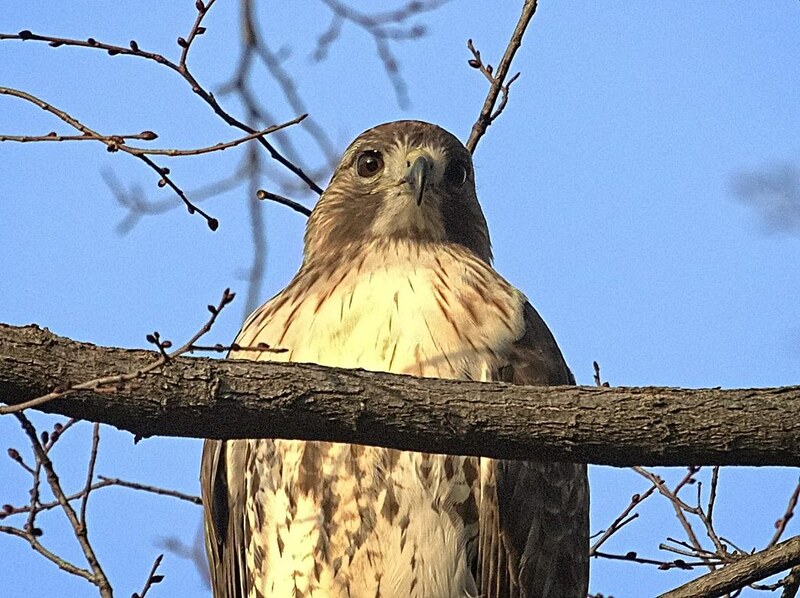 Below is a juvenile, who has very bright yellow eyes. 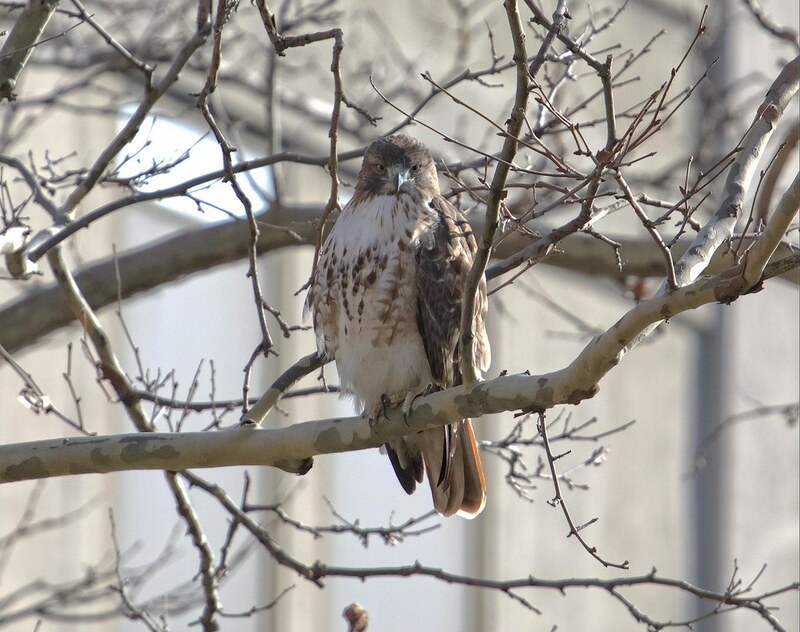 One other thing I noticed about this hawk is the color pattern on its legs. There is some very pale barring, giving them a light cappuccino color. To compare again, Christo has pronounced brown barring on his legs and Dora has none. 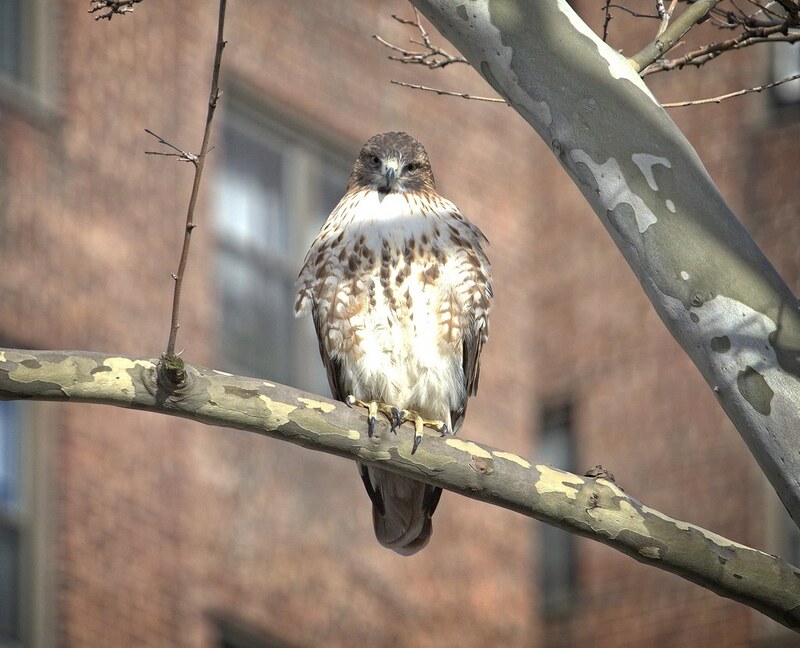 On the day I saw this hawk, it spent about an hour staring intently at a patch of grass very close to where one of the South Street kestrels had caught a mouse five days before. 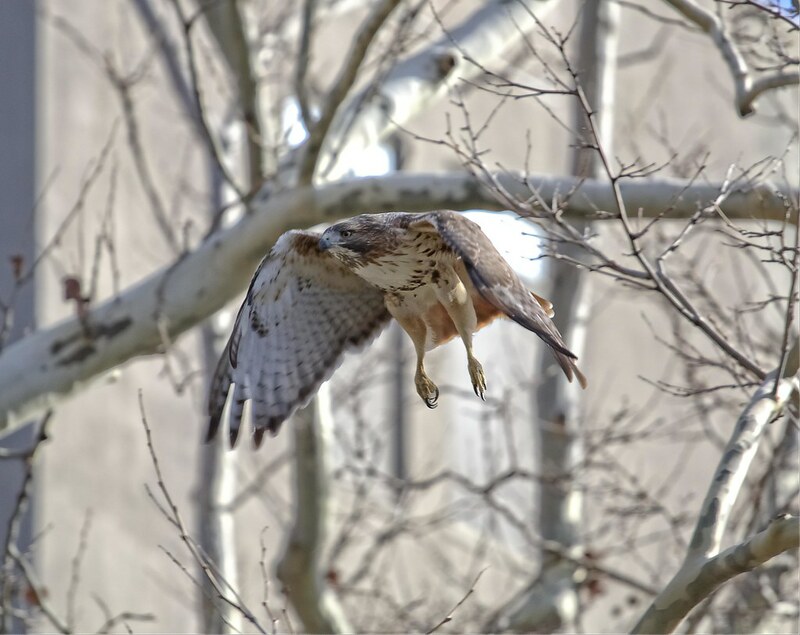 I hoped to see the hawk catch something to eat, but I ran out of time and had to leave. 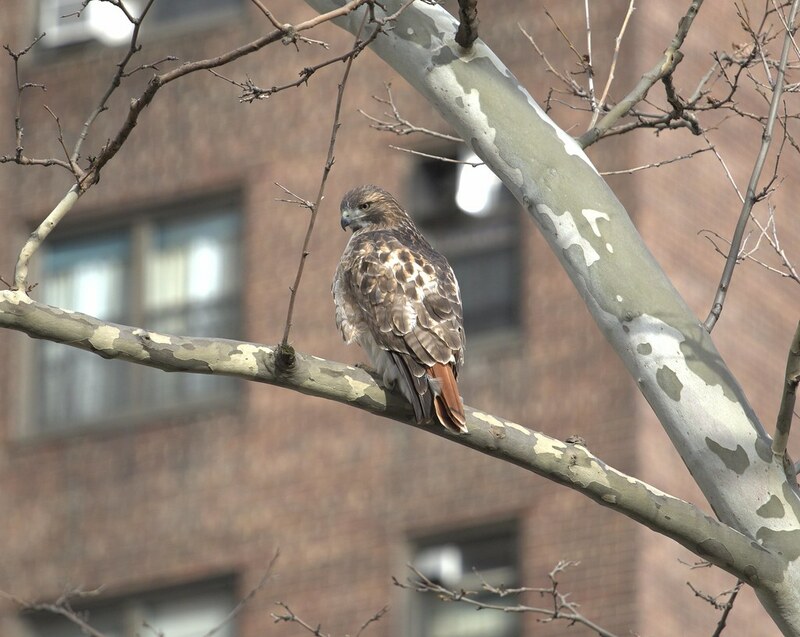 It killed me to walk away knowing the hawk was still there. 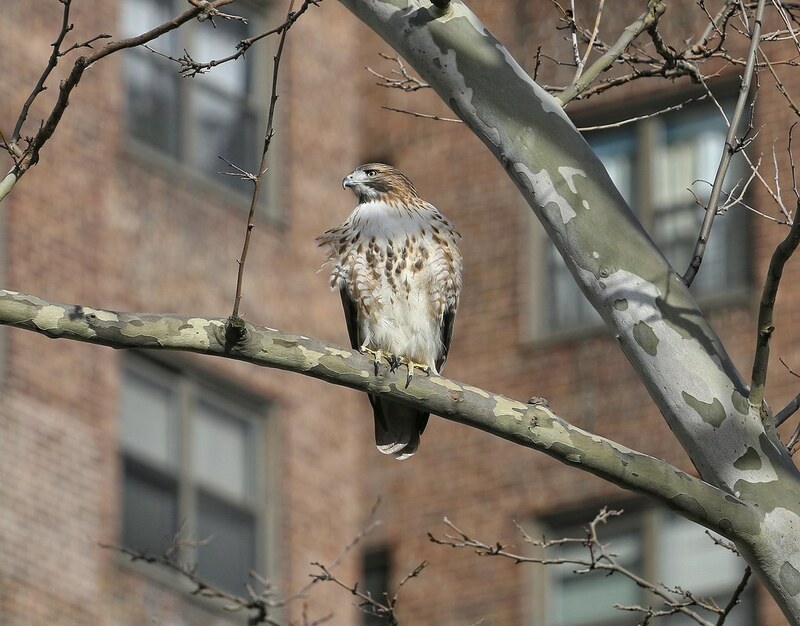 Meanwhile, that same week, a hawk was spotted checking out 169 Bar on East Broadway. This is very near where I saw the mystery hawk, so perhaps it's the same one. ??? 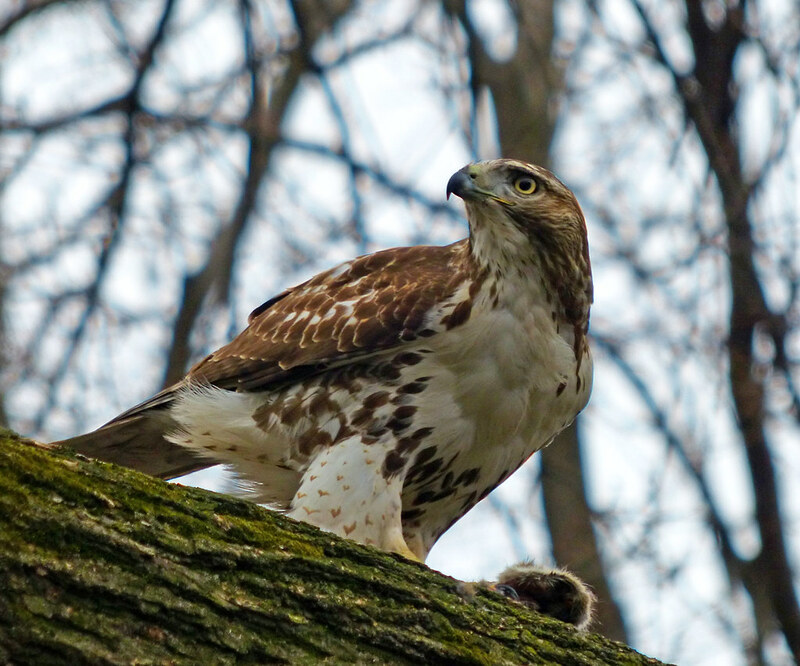 See more photos of this hawk on my Flickr page.